Every business relies on its customers for its survival and ecommerce is no different. We already explained that ecommerce requires efficient customer engagement for its success. Despite its rapidly growing popularity, even frequent online shoppers hesitate to try out new ecommerce websites, and many people are still reluctant to shop online, choosing instead to purchase from a physical shop. If you are a business with an offline outlet, this might not be a problem for you, as people can view your products online and then come to your shop to make the actual purchase. But what if, like thousands of small and medium businesses around the world, you do not have an offline store? Or, what if, your business goal for the future is to build your business as an online retail giant, and do not wish to shell out the extra bucks for an offline space? 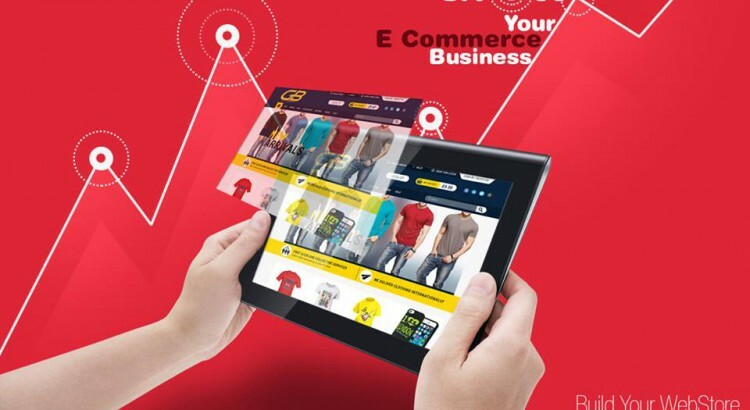 Better yet, what if you want to tap in to the vast opportunities the fantastic world of ecommerce now and reap the benefits of the innovations that are sure to happen in the future? You need a strong, wide and established network of customers for such a business strategy to work. It is a good idea to display products and offers on attractive banners, but the better idea is to make this banner a call-to-action area, which would urge the customer to click on it, leading them to purchase the product shown in the banner. Every page should have a striking design, but also remember to add strategically placed call-to-action buttons to increase the possibility of purchase. Dead ends kill the desire to purchase. Rather than looking around to see how to proceed, customers would just seek a different website that lets them breeze from one step to the next. Have visible navigation panes or progress indicators to let them know where they are in the checkout process. This goes a long way in ensuring that the customer finishes the purchase and minimizes abandoned cart rates. It is best to avoid forced registration and to keep every form as short as possible, collecting information only on a need-to-know basis. Also remember to use “smart” forms which further assist the customer’s convenience. For example, filling in the state/ country details once the customer enters their zipcode make it one less thing for them to fill out. While a detailed description of each product is necessary, including reviews from other users further helps your customer in understanding more about the product. Before buying anything these days, people research online, ask for the opinion of their friends and check with others who use the product they are interested in. Hence add reviews, ratings and testimonials related to each product in every product page. There is hardly an internet user who does not use one popular social media platform or the other. Make the most of this trend by reaching out to your network of customers through social media platforms. Encourage your user to like, share, tweet, post photos, reviews, etc, thereby tapping into the extended network available to you – the friends and family of your existing customers. This not only increases the footfall to your website, it is also a way of indirect marketing without actively spending much! Every shopper has given in to the ingenious marketing technique used by supermarkets at least once – the attractively displayed offers right next to the cash counter. Doing this online is also pretty simple. Convince your customers that upgrading their purchase will help them save more/ give more redeemable loyalty points. Also show what others usually buy with the product being purchased, and show them how these two (or more) products are meant to be! Loyalty programs, seasonal promotions, flash sales, exclusive product launches, unique deals and offers etc are some more ways in which you can not only increase the traffic to your ecommerce website, but can also improve your conversion rates in a sustainable manner. More on these methods soon!